Garrecht Avionics is an EASA certified PO, provides a wide range of modern avionic systems for General Aviation purposes. The VT-01 transponder system has been designed for use in gliders, light aircraft, power planes and unmanned vehicles (UAV), operated under VFR and IFR conditions. Using state of the art components and development tools was essential to fulfill the requirements of lightweight, compact size and low current consumption. The transmitter is fully transistorized. Pressure sensor is integrated inside VT-01 system. A sunlight readable LCD display provides all information about current mode, reply and standby code (Mode A/C only) and altitude. The VT-01 can be installed either as single block system or as a two block system with remote control unit. Installations in small cockpits or panels are quite easy. The main unit can also be installed in a cradle and is interchangeable between aircrafts of the owner’s fleet. The control unit remains in the panel and keeps connected to the static pressure system and the power source of the aircraft. The system is compliant with the requirements for Mode S transponder systems which are mandated for new aircraft from the beginning of 2005 and for replacement of Mode A/C transponders from 2008. It also meets the requirements for a Mode A/C transponder. AMS Flight likes Garrecht state of the art components, design orientations and development tools to recommend Garrecht products to pilots and sell them at the very attractive prices. The Cambridge 300 Series is built on the technical know-how and soaring expertise of Dave Ellis, the first innovator to introduce digital flight data recording technology to the world of soaring. These instruments have been enhanced by the collective experience of glider pilots who have flown with them, as well as refinements in their manufacture by R-Track Technologies, Inc. They provide soaring enthusiasts with the advantage of sophisticated flight computing at low cost. Certified for use in competition soaring by the International Gliding Commission (IGC) of the Fedération Aeronautique Internationale (FAI), for all flights, the Cambridge 302 Direct Digital Vario and Flight Data Recorder and the 302A Flight Data Recorder represent a proven technology, perfected by years of experience. The Cambridge 303 is a low cost, simple for use, installation and managing, easy to use display which functions with both the 302 and the 302A, as well as the 306. 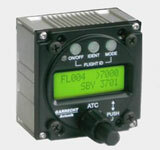 The Cambridge 306 is a repeater for two seat gliders which exactly duplicates the output of the 302 and is fully functional with the 303 display. AMS Flight is Cambridge products distributor and holds permanently impressive low prices of Cambridge’s. Founded in 1995, TL elektronic has become a world leader in the development and manufacture of aerospace instruments and aircraft equipment. Having developed over 40 aircraft systems during its 14 year history TL elektronic’s customer list has grown to include BAE, BRP-ROTAX (Bombardier) Extra Aircraft and the Redbull Air Race Team. 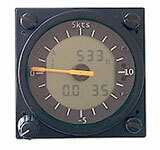 Vertical Speed Indicator TL-3624 is suitable for both - aircrafts and gliders. You can easily set a range of climb/descend in your Vertical Speed Indicator with help of the buttons, and the instrument will monitor it for you and provide you with acoustic signals. Using a PC and the program, which is a part of delivery, the Vertical Speed Indicator also enables you anytime to go through the history of measured values. AMS Flight is TL elektronic products distributor. V1000 Digital audio Variometer of Tasman from Australia with average display and inbuilt speaker is designed to satisfy a need for a product that utilizes the most current technology to produce the best possible performance at the lowest possible cost. The Variometer has at its core a semiconductor pressure sensor with a digital output which can resolve some 32 million separate codes. This results in a Variometer which can measure only a few inches of altitude change without a practical upper limit in altitude. With such fine measurements possible and a fast sample rate results in a Variometer which is responsive and accurate. Digital signal processing allows the user to set the Variometer response time in fine increments, and select from a range of display and audio vario options. An important side benefit is that the parts count is minimized and so the cost and size of the final Variometer is reduced. 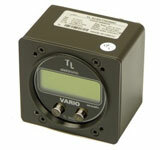 The Variometer accommodates and expands on all the most important functions of a standard vario, i.e. 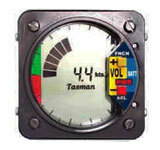 vario audio, lift/sink rate, and includes the feature of the 20 second Variometer average simultaneously displayed. All in the same small package. 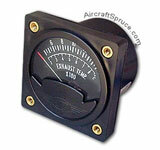 This Variometer is designed to give years of trouble free service. AMS Flight is Tasman products distributor in Europe. Aircraft Spruce & Specialty Company from USA carries everything a pilot could need, including pilot supplies and aircraft parts, mostly at the low possible prices. Aircraft Spruce supplies components for a wide variety of homebuilt aircraft including the Lancair, Vans Aircraft, Cozy, Starduster and Europa, as well as factory built parts for Cessna, Piper, Beech, and Mooney. Products include Garmin avionics, tools, charts, propellers, spruce, software, instruments, aircraft engines, aviation headsets, landing gear components, and composite materials. Aircraft Spruce & Specialty also carry a full line of aviation grade hardware, covering supplies and materials, electrical components, and steel and aluminum. 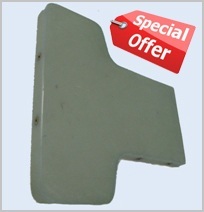 For airplane parts and pilot supplies, Aircraft Spruce is the leading aviation supply house in the world. AMS Flight is the distributor of Aircraft Spruce & Specialty, practiced and experienced with Europe import procedures and holds some of Aircraft Spruce & Specialty products on the stock. AMS Flight holds low Europe prices of the Aircraft Spruce & Specialty products via savings from the shipment and customs costs importing Aircraft Spruce & Specialty products in quantities. Contact AMS Flight for your aviation needs. Mountain High Equipment & Supply Co. is the maker of state-of-the-art aviation oxygen equipment. Founded by recreational pilot and engineer Patrick L. Mclaughlin, Mountain High has been supplying aviation oxygen equipment and supplies since 1985. The company is known particularly for it's EDS product, an electronic 'Pulse-Demand' adaptive oxygen delivery device. Mountain High has also been at the forefront of providing pilots of all types of aircraft with affordable and easy-to-use oxygen transfillers and adapters. 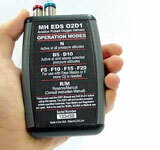 EDS-O2D1-011 is very light-weight Portable O2 system, A single-place, Electronic Pulse Demand system. AMS Flight holds EDS systems of MH on the stock and offer interesting low prices of them. Bowlus Maxi Gap Seal Tape is made by Michael Bowlus. It has a great reputation as a fantastic gap seal tape. It is polyethylene tape. It is extremely stretchy which allows it to follow the complex curves around the leading edge of the wing root although no tape can form to every curve. This tape utilizes UV protection so that is lasts longer in the sun than other products. That is very important for gliders that remain assembled for long periods of time - especially if they sit in the sun all the time. The tape is designed to stay in place and not split even when you take off from an airport with high temperatures, fly at high altitude in low temperature environments and land back in high temperatures. Bowlus tape is a brighter white. Bowlus Maxi Gap Seal Tape is better than the 3M polyethylene tape, and much less expensive. AMS Flight is the Europe distributor for Bowlus tapes. Microair Avionics is an technology based, Australian company developing, manufacturing and retailing good avionics products for domestic and worldwide markets. All of Microair's products are designed and manufactured in Bundaberg, Queensland, Australia. Microair began making a small VHF Comm (M720) suited to gliders and ultralight / experimental aircraft. This product's success was based on its small size and its great value for money. The combination of small size and low price was very successful. 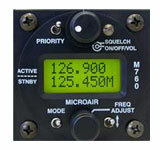 Microair has listened to its customers; its products are designed by pilots for pilots. As a result, the M760 radio which followed the 720, incorporated many new features. Microair made the M760 even smaller than the 720, making it one of the smallest, cost effective VHF aircraft comms in the world. Microair then developed the T2000 Transponder this is one of the smallest and lightest (600g / 21 oz) transponders in the world. 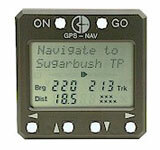 Despite this, the T2000 is also one of the least expensive Transponders available. Like the M760, the T2000 is very power efficient. It has very low power consumption, and still produces a nominal 200W! The development of the T2000 Transponder then leads to the arrival of the T2000UAV version transponder. Again it has a very low power consumption which promotes prolonged operation on battery. The T2000UAV can receives ASCII commands which enables the UAV operator to comply with all ATC transponder situations as well as being able to be queried for the status of its operating parameters. Microair next product is a T1000-TX ADS-B Transponder as part of its ADS-B series. After the ADS-B transponder Microair is to re-configure their transponders line to Mode S to suit the new requirements in the European marketplace. The TSO certification of the T2000 transponder has expanded Microair's customer base into the general aviation sector. The features of small size, low price, and easy installation, have been a successful combination for Microair in the GA market. AMS Flight is Microair distributor.